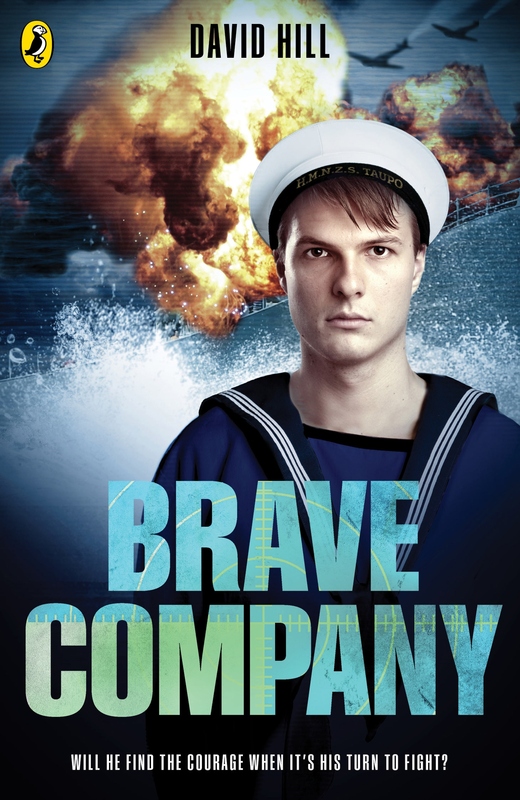 Brave Company sees our main character, a teenage naval recruit, travelling aboard a New Zealand naval vessel towards an increasingly hostile Korean War in 1952. Amongst his baggage is the intangible need to prove his worth. Worth that is both bolstered and challenged by a family tradition of bravery in the armed services. Russel, the main character, lives with his mother, and the memory of an uncle who was a decorated war hero. Or was he? Did he die with honour? Or was he a coward? Russel finds evidence to convince him of the latter, so he joins the forces in part to reinstate the honour his uncle has destroyed. Russel is a young man with a point to prove. Russel finds himself in foreign territory that he knows little about. He knows the enemy are communist and that the world needs to be saved from their power so he is willing to fight for freedom. Mostly, the role of this NZ navy ship is a support one, and little active fighting is encountered. Which is a good thing, as Russel realises quickly how inexperienced and ill-prepared he really is. When Russel finds himself in the midst of active warfare, he quickly learns the truth – the truth about his uncle, the enemy and himself. Drawing on the “not everything is really as it appears” approach, David Hill has written a pacey story with action and adventure. Along the way, the readers will become attached to the characters, especially Russel, and his story will feel authentic and real. Readers can’t help but wonder why Russel and his NZ naval crew were even in this war, and about the fine line between cowardice and bravery, and between right and wrong. This entry was posted in Book review and tagged brave company, David Hill, Gillian Torckler by booksellersnz. Bookmark the permalink.